With lowering mortality levels and better health care services, there’s increased need for educated and trained nursing professionals today. However, though the demand for nurses is high, it’s not that easy to be a nurse. You’ll have to plan your career carefully and take all the right steps. We hope to help you in this journey with this guide. In the US, nursing is the largest health care profession, with more than 2.9 million Registered Nurses working all over the country. Nurses are required in every kind of health care requirement. From the very basic health care to the most acute cases, nurses are required to know, understand, participate and contribute. This requires that nurses follow a specific path of education and qualify to become Registered Nurses so that they can deploy their skills in any area of nursing. As a nurse, you’ll be required to work long hours, work in shifts, work amongst sick or dying people, and your patience will be taxed to the limit. You’ll be expected to be cool and collected amidst crisis and never allow your weaknesses or repugnance for blood or surgeries to show. You have to have a high degree of compassion, patience, empathy and kindness in order to succeed as a nurse. Your main duties will be to treat patients and help reduce their suffering. You’ll also have to educate families about patient care and update them on status. You will have to also educate patients on how to take care of themselves and how to cooperate with treatments. Sometimes, patients will need a great deal of psychological boosting, a task that often falls on the treating nurse’s shoulders. You should be able to quickly analyze patient charts and decide on what to do in an emergency. You should be able to assist doctors and surgeons in emergency operations and not balk at the sight of blood or internal organs. Carefully evaluate all of these tasks and understand which abilities you should possess if you want to be a nurse. If you feel that you qualify to work as a nurse, and you fit the bill, go ahead and carry on with step 2. Nursing is a viable career path, and an extremely rewarding career, both monetarily and emotionally. The nursing career, as with any career, works best when you create a plan and a timeline for your growth as a nurse. It all starts with enrolling for the right course, choosing the right career path within nursing, and working at the right health center. There are different levels of nursing that are available, each that requires you to take up courses and certification exams. Before you decide on which courses to take and which exams to sit for, evaluate nursing career options and decide which path you want to pursue. While you are planning your career path, you can actually start your career in the nursing field by working as a nursing assistant or a nursing aide. A nursing assistant does not require a diploma; attending the nursing assistant course will do. This is a good option to start with, as you can plan and get in to a better nursing program in time that’ll help you land employment options. You can decide to become a Licensed Practical Nurse (LPN) or a Licensed Vocational Nurse (LVN), after taking up a one-year course of study from a junior college or a vocational school. Both LPNs and LVNs work under the supervision of a physician or a Registered Nurse (RN). LPNs and LVNs possess more advanced skills than nursing assistants or nursing aides, but are neither qualified nor allowed to perform an RN’s tasks. If you are an LPN or an LVN, you can however, gain the experience and knowledge in order to become an RN. You can study to be a registered nurse while you work as a nursing assistant, nursing aide, an LPN or a LVN. Becoming an RN requires that you acquire either the Bachelor’s Degree in Nursing (BSN), the Associate Degree in Nursing (ADN), or Diploma Program in a hospital. ADN is a two-year degree program while BSN is a 4-year degree program. Medical bureaus are of the opinion that nurses should take up the 4-year BSN degree to qualify as an RN, though an ADN degree should suffice. However, the BSN degree is recommended, as you are paid based on your level of education. That apart, the BSN acts as a stepping stone for you to opt for specific studies for areas of specialization. If you are a BSN holder, you can also pursue a master’s degree. You can even opt to train further for Advanced Practice Registered Nurse (APRN) professions, which include Certified Nurse Midwife (CNW) , Nurse Practitioner (NP), Certified Registered Nurse Anesthetists and Clinical Nurse Specialist (CNS). Once you are suitably qualified, you’ll be eligible for an entry level RN job in any hospital. If you have relevant nursing experience, having worked as an aide or as an LPN or LVN, you’ll be better paid and will find it easier to scale up to an RN’s responsibilities. The nursing program that you choose must be accredited by the National League for Nursing Accrediting Commission (NLNAC). You’ll be able to sit for your board exams only if your nursing school is accredited by the NLNAC. Always consult with a professional before you select a nursing degree program; not all programs are the same and you don’t want to be short charged. 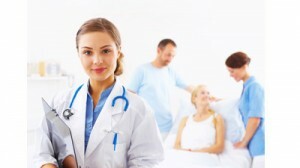 You can also check out nursing programs that are offered online, provided they are accredited. RN training programs are a mix of classroom instruction and live experience in hospitals or clinics. Student nurses have to study the following subjects in order to qualify for their boards: Chemistry, Psychology, Nutrition, Physiology, Anatomy, Behavioral Sciences, Microbiology, and Nursing. When you undergo the live experience part of your program, you’ll be supervised in the hospital department by senior nurses. You might be asked to work in rotation and will be exposed to different departments, such as psychiatry, pediatrics, surgery and maternity. After obtaining the ADN diploma or the BSN degree, a student nurse has to sit for the NCLEX-RN national licensing examination. The NCLEX-RN is a computer-based test that tests a potential nurse’s skills and knowledge. You can be asked anywhere between 75 to 265 questions, based on how much you know. You’ll be able to scale through more levels in the test if you answer many questions correctly. In the six hours that you’re allowed, you will have to clear all the levels to obtain your license. This should not be very difficult for you if you have planned your nursing career properly and obtained enough work experience along with completing training programs. Today, if you are a licensed RN in a particular state, you can work in any other state without obtaining an additional license. Before you take up a job, look through job sites and hospital boards for nursing and health care jobs. Understand what’s required for each position, such as the education, skills, the duties and responsibilities and so on. Evaluate the salary and benefits that are offered with each position. As a nurse, you can work in any number of positions and various health care facilities such as hospitals, general practitioner surgeries, health clinics, nursing and residential homes, organizations that run residential care and hospices, the pharmaceutical industry and occupational health services. You also have the option of working in universities, the armed forces, and prison service and even on cruise ships! Becoming an RN and working in a good establishment is definitely an achievement. However, to get the best out of your career in terms of learning, experience, money, promotions and better career prospects, it’s important to specialize. This means you’ll have to consider special certifications and other qualifications you will need to obtain in order to enter a particular subfield. For example, you’ll need a Cardiopulmonary Resuscitation certification to work in surgery. If you want to work in the emergency room, you’ll need Advanced Cardiac Life Support training. Apart from this, if you want to work in a special patients group such as cancer patients, you will need special chemotherapy training that you can obtain from the Oncology Nursing Society. Note that you can succeed and earn well even without these specializations. However, by specializing in a niche area, you’ll be marking yourself as a prime candidate for promotions and career advancements, which means you will reach seniority levels more quickly.